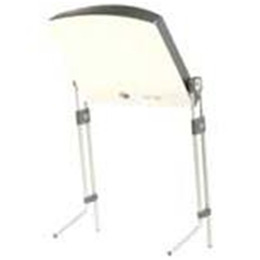 The Day-Light Classic from Carex is the only light therapy product clinically proven to fight the Winter Blues, providing 10,000 LUX of white light. Combat the Winter Blues, circadian sleep disorders, jet lag, shift work adjustment and low energy with this therapy lamp. The first choice of researchers around the world, used in numerous clinical trials and meets the strict bright light therapy guidelines set by the Center for Environmental Therapeutics. The Day-Light Classic lamp provides the maximum dose of 99.3% UV-filtered white light and projects light from above for effective therapy. Choose therapy or task lighting to enjoy clear, flicker-free light. Product Dimensions: 28.5" x 16" x 3"
Package Dimensions: 16.6" x 16.8" x 4"